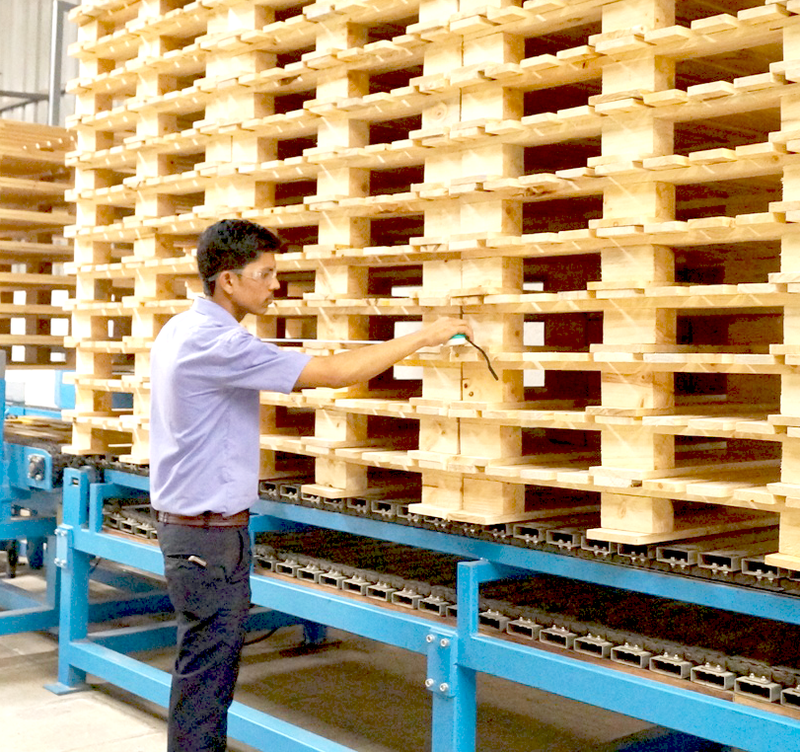 MCPPL began operations of Wooden Pallet manufacturing in the year 2005. Realising the immense opportunities in the global wooden packaging & shipper carton manufacturing sectors. MCPPL has been successful in expanding its operations into multiple products over a period of time. It has established itself as one of the leading packaging solutions in the industry. Pioneer in implementing the Auto Pallet assembly line in Western part of India imported from Europe and also One of the First to Install Heat Treatment plant from Start in Pune Company boasts of a steady growth since its inception. While acquiring latest technology for development and production, we have steadily been introducing innovative products and providing customised solutions for various business sectors. We have continuously upgraded our technology to keep pace with the stringent industry requirements. Our process flow Our primary focus is to understand our prospective client’s requirements, and buying patterns. After carefully analysing it we propose them various solutions and products as “Single Source Packaging & Service Hub”. We provide single point contact for our clients for its various packaging and other products needs. In depth study of client’s products to be packed, stored and dispatch destinations is carried out and accordingly specifications are finalised and the materials are manufactured with best quality and price. We ensure a quality product and timely delivery. Processing orders,follow-ups, managing inventories, inventory cost, storing facilities, space management, wastages, human resources, payments to various suppliers, etc. Regular requirements materials are stocked at warehouse and supplied to the clients as per dispatch schedule. The client gains by indirect cost savings and advantages in the longer run.